Solid stainless steel picture rail hooks give a traditional look but combine with our stainless steel hangers to function like a modern system. The design of the hook positions the cable close to the wall to ensure the picture sits at the proper angle rather than tilting forward as with old fashioned picture hooks. They are clear coated to prevent tarnishing. 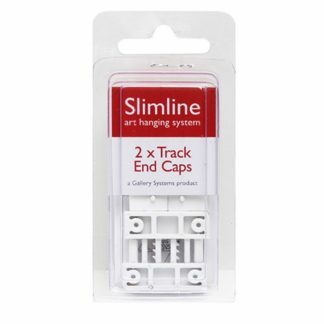 The pack includes 5 x Stainless Steel Picture Rail Hooks and 5 x 2m Stainless Steel Cable hangers. 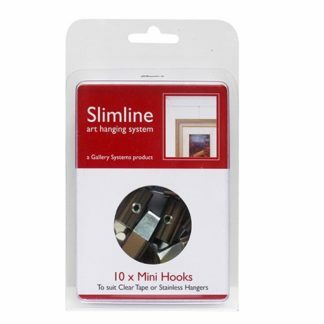 Don’t forget to order the hooks to attach your art to the hangers – either Standard Adjustable Hooks, Slimline Mini Hooks, or Push Button Hooks. Weight capacity 20kg (14kg if using Slimline hooks). SKU: GBLPRHANG5S Category: Picture Rail System. Add the functionality of a modern hanging system to existing picture rails.